Back when I was living in Milan and studying fashion design, fashion week was a HUGE deal, like Hunger Games fighting-for-your-life kind of huge. But unless you had friends in really powerful places (or seduced an intern) there was no way you were getting in – and I know this from harsh, cold personal experience. One time, a friend and I tried to sneak into a Moschino show only to be thrown out like last night’s leftovers (no physical harm done, though. The only thing bruised was my ego). Avoid getting thrown out of fashion shows by creating your own apparel line. Get started with our catalogue. What getting the boot taught me was that Moschino won’t open the doors of their catwalk to the general public for the same reason Chanel doesn’t want its perfumes at the pharmacy – because it wouldn’t be exclusive anymore. People buy these brands not only because they can afford it, but also because by doing it they automatically enter the Rich People Club. A club that, consciously or unconsciously, most of us want to be a part of. Targeting this I’m-better-than-you-because-I-have-this-and-you-don’t reptilian brain (not the scientific term) is the reason why this industry stays afloat. Back in 2014, Mango, River Island, Gap, Topshop, Selfridges, John Lewis and many more held a series of in-store events. Some of the dates that were scheduled included mini-workshops and Q&A sessions with professionals of the fashion industry. The seminars covered a wide range of subjects from merchandising to social media. The brand created by Franco-Brazilian artist Christine Drummont and Caroline Denquin, Bepop showed its first collection titled “Beijaflore” at a Pop-up fashion show hosted by the French Art Studio Gallery in Kensington. 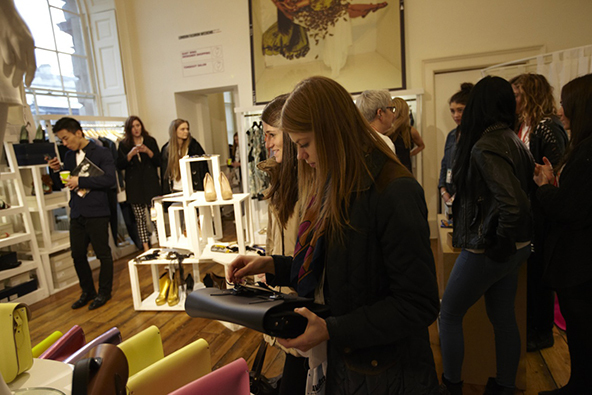 As an exclusive deal, the brand also gave the chance to a lucky few to preview the collection the day before the show. The American brand Forever 21 offered its customers a free consulting session with a personal shopper. All people (on a verge of an existential-styling-crisis) had to do was fill out a form and the fashion elves would get back at them with their appointment details, ASAP. Different packages included a shopping experience for two, a makeover from head to toe and how to find a “special” gift. We all know someone who at some point wanted to work for the fashion industry, or at least add a new set of posh skills to their Linkedin profile. The London College of Fashion gave hopefuls this opportunity when it opened its doors on Saturday 13 of September 2014 with a Fashion Media and Communications Open Day. The sessions were free of charge and open to anyone who booked in advance. The Mayfair hotel, the official hotel of London Fashion Week 2014, launched its very own Shoe Bar in honour of the occasion. Among the £14, cleverly named cocktails the Red Stiletto, the Mary Jane, the Peep toe and the Velvet Mule can be found. Oxford is not the only street in London that gears up for the occasion, Carnaby Street also gets in the mood with the Carnaby Style Night. 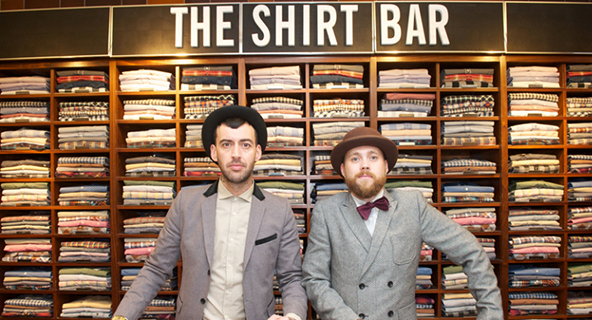 The evening of the 11th of September 2014, many of the street’s stores synchronised and hosted a special event. Some of the most creative ones included having your shoes hand-painted by an artist at Superga, learning how to shave like a boss at Pankhurst London, complimentary drinks,makeupp tips and MALE MODELS at Illamasqua, and trying out for a VideoSong at Flying Horse Jeans while you enjoyed a complimentary drink. The rise of the internet and social media has been blamed for people having a “got to have it now” attitude, but putting aside the matter of blame, it’s true that lots of people don’t like to wait for much at all these days. That’s why Burberry’s move to make their runway collection available immediately after the show is pretty genius. No more six-month waits, and no more seeing summery clothes months in advance of any sign of sunshine. There are so many tools you can use to share your fashion show (or other big events) in real-time on social media these days. Topshop started by using it with Twitter at last year’s London Fashion Week, and this year incorporated Instagram and Periscope, too. But they didn’t have just anyone running their accounts; nope, they got a professional photographer and his team to do them to ensure top-quality images. On top of that, the live stream was aired from Topshop’s flagship store on Oxford Street. Reward your loyal fans with a small treat ahead of Fashion Week (or whatever big event is applicable in your field). Mulberry took advantage of their Instagram channel to give fans little teasers of their image change that they were going to roll out at London Fashion Week with the launch of the first collection by a new designer. It’s an easy way to get people excited about what they can get the chance to see ahead of time. Call 999 — It’s a fashion emergency! While I can’t quite imagine the ever-impeccable Anna Wintour ever needing to use this service, not everybody in the fashion world is as eternally on-point as she is. That’s why Very.co.uk and LG launched a Style Saving service for LFW attendees who managed to ruin their clothes — whether that’s dropping hors d’oeuvre on their outfit or getting caught out in the London rain without an umbrella. By tweeting #SaveOurStyle and tagging LG, they could get their clothes picked up and cleaned. Even better, they could get a replacement to tide them over. These days, just about everybody wants to log on to the WiFi as soon as they get to an event. American Express jumped to be the official WiFi provider of London Fashion Week, and on top of that was the sponsor for refreshments and a working area. They also had a lounge for press and buyers and hosted exclusive events. But we’re still betting most attendees appreciated the WiFi. Maybelline makeup brand had a special lounge where London Fashion Week where attendees could get their makeup refreshed so it was picture-perfect at all moments. They also had experts on hand to give people tutorials on how to recreate the latest styles themselves. One way to get everyone toting around something with your branding on it? Put it on a coffee cup! Lavazza created a customised coffee cup for Fashion Week attendees and partnered with Ryan Lo, a fashion designer from Hong Kong. They also gave away five fancy coffee machines and created pop-up cafés around the venue. Sunglass Hut may not be the first brand you associate with the punk movement, but they created a campaign to #PunkItUp at the 2015 edition of London Fashion Week. They had a selection of their very coolest shades for attendees to try on, and also had a photo booth where they could strike their best punk rock pose with their designer sunnies (though we’re not sure many actual punks are spending £300 on sunglasses). What’s a more fitting way to celebrate the arrival of a spring/summer fashion collection than with an exclusive garden party? The Cambridge Satchel Company hosted a very stylish garden party at its own Covent Garden Townhouse. Though the party was held indoors and not in a garden, it hosted all sorts of fashionable guests to enjoy drinks and treats to celebrate the 2016 ranges from the company inspired by British country gardens. Attendees sipped on champagne cocktails with elderflower juice. Every year, River Island sponsors the British Fashion Council’s Fashion Film, allowing it to fund as many as eight designer films every year. The funding helps designers show off their collection using film, as well as giving them mentoring, chances to showcase their designs and access to events to network and build relationships. The films are screened every year at London Fashion Week at a big event. With 19 years of experience under its belt, the ELLE Style Awards are a hotly anticipated moment of London Fashion Week every year, hosting A-listers from all around the world at a giant party. H&M sponsored the latest edition of the awards show, and also gave out the H&M Conscious Award to recognise brands who do a good job supporting good causes. ELLE magazine let a few celebrities attending the party take over their Twitter account, giving fans the inside scoop of what was happening at the exclusive bash. 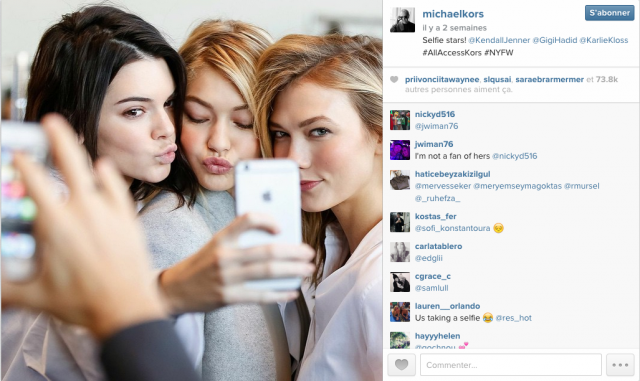 Michael Kors took to Snapchat to give his followers a real-time look from his privileged perspective at the show. Not just anybody gets granted the access he gets to Fashion Week, but anybody could watch it unfold on social media. He shared shots of the backstage area, featured exclusive content from the runway shows, and generally just made it feel like you were right there alongside him watching all the mayhem. And if all else fails, pay tribute in…wax? This one is definitely not something everyone can pull off, but it was a well-timed move by Madame Tussauds. They wanted to promote their museum to draw London Fashion Week attendees in, so they ran a campaign. Part of the campaign was unveiling two new wax statutes – of It Girls, social media stars and in-demand models Cara Delevingne and Kendall Jenner, placed in a display meant to replicate the experience of being at Fashion Week. By using the right hashtags and getting the models to mention their new wax statues, Madame Tussauds got a ton of engagement on social media – and probably a few visits from fashion fans, too.